Der Holotyp und einige der Paratypen wurden aus Raupen an Blättern von Artemisia princeps gezüchtet. 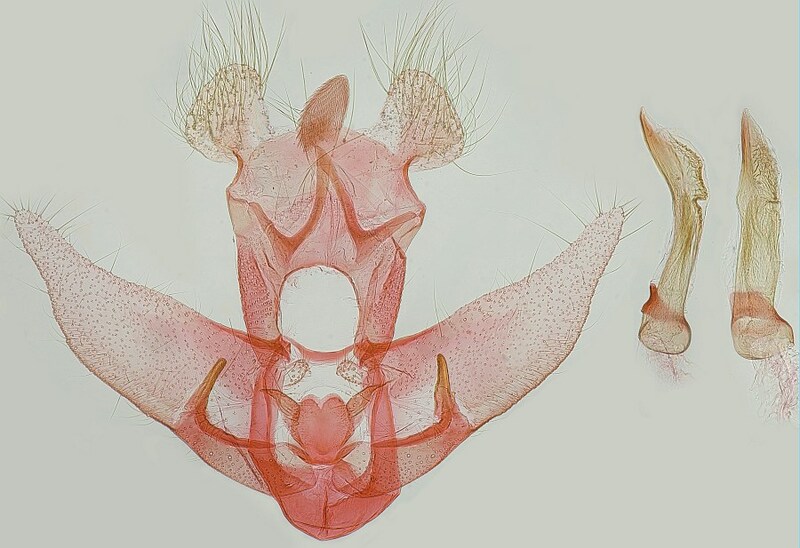 SAITO (1980: 330): “Holotype: ♂, Minoo, Osaka Prefecture, Honsyû, Japan, emerged 7. VII. 1976 (T. Saito), reared from larva feeding on leaves of Artemisia princeps Pampam.”  Paratypen: 6 ♂♂ und 4 ♀♀, alle aus Japan. 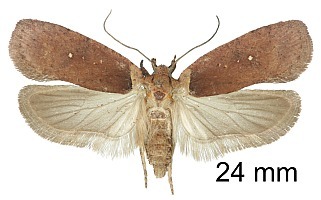 Erstbeschreibung: SAITO, T. (1980): Four new Agonopterix species from Japan.  Tinea 10 (35): 329-336. Tokyo.